Alexander Lawler is a fourth-year PhD Candidate in Historical Musicology. He is a graduate of the Shepherd School of Music (B.M. Music History, 2010) and the University of Houston (M.M. Musicology, 2014). 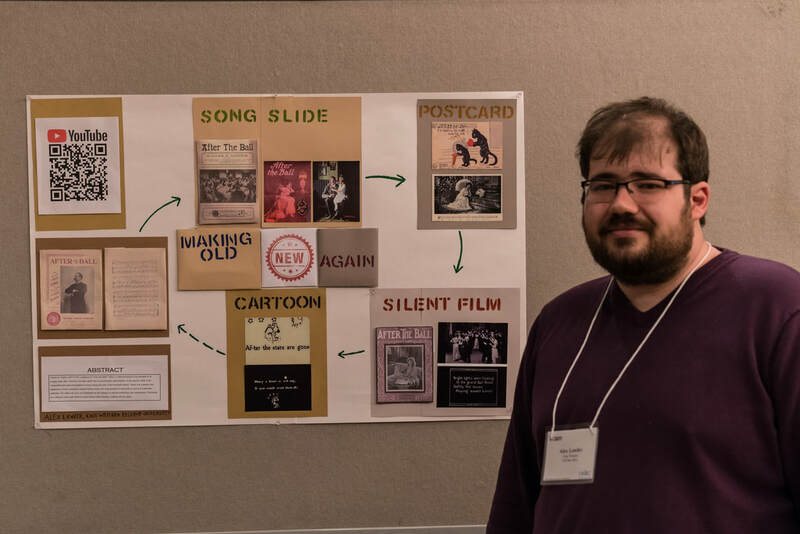 Currently, he is working on his dissertation, “How to Keep a Popular Song Popular: Advertising, Media, and Nostalgia in Charles K. Harris’s Tin Pan Alley,” under his adviser, Dr. Daniel Goldmark. Alex is proud of his versatility. He has been a long-time research and editorial assistant of Dr. Howard Pollack (University of Houston), in which capacity he has worked on several published books and articles. He has been a frequent collaborator with the The Cleveland Orchestra Archives on a variety of projects, ranging from photo digitization to writing online multimedia essays about Beethoven as part of an NEA grant. Before this, Alex worked for four years as an integral member of the Houston contemporary opera startup Opera Vista. Currently, Alex lives in Anaheim with his girlfriend Alyson and their pet rabbit Biscuit. He works for Oxford Tutoring of Irvine as an SAT/ACT, AP History, and English tutor. Additionally, he is responsible for their SAT English curriculum development. In what free time he has, Alex enjoys cooking and video games.